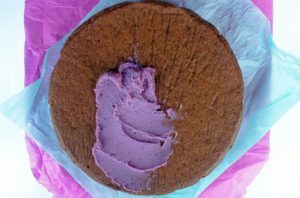 Dairy-Free Frosting – with Purple Sweet Potato! I have introduced a new ingredient into my kitchen, the Purple Sweet Potatoes! And have discovered that it makes the most delicious dairy-free frosting to go on top of my favourite Chocolate Cake!